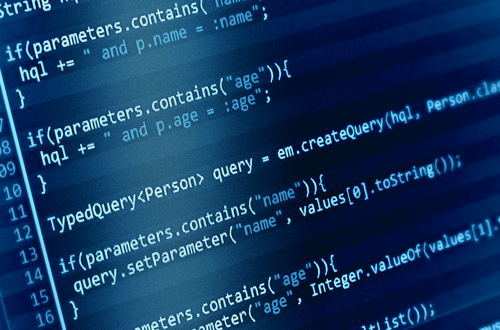 As a tech entrepreneur, how important is knowing how to code? The startup community seems to be divided. But here’s the problem: Entrepreneurs are time-strapped. The process of learning to code comes at an opportunity cost—the more time you have to spend learning a programming language, the less time you can spend leveraging your growth in other areas such as business development, marketing and sales. But what if you want to develop technical fluency? The process could take years and potentially set your business back in its trajectory. 1. What is the anticipated ROI? Small-business owners wear many hats, but most importantly, they are sales leaders, project leaders and managers. You need to ask yourself if learning to code will help you save time, save money or boost your ability to grow. It may be the case that you want to learn to code because you think it’ll make you a better leader or manager, as you’ll be better able to communicate with your consultants and engineering talent. For small-business owners, these goals are absolutely valid reasons to learn to code. There are alternatives, however. You could hire a technical co-founder, or interview your top engineers to learn how and what they’re thinking through their technical challenges. Deploy the communication skills that make you a strong sales and marketing professional, and you may get all the information you need to lead your team successfully. 2. What is the opportunity cost? What do you lose when you learn to code? What could you be doing instead, and is it worth sacrificing? Will you need to put key business milestones on hold? Will your growth begin to stall? Are there other skills you should be learning instead of a technical skill? Business owners constantly face trade-offs every minute of every day. Even if you see learning to code as a win, you need to be realistic about what you’re losing. At the very least, try to quantify that time into a specific dollar amount. 3. Would a technical skill make you happy? Happiness is an investment and an asset. You need to pursue activities that you find enjoyable and intellectually appealing. The answer to “Should I learn to code?” doesn’t have to be logical. Don’t over-think it. The time you spend brooding over this question is time that you could be spending learning to code. Your best course of action is to stop Googling what other non-technical co-founders are doing and stop wondering whether your peers are judging your decision. If you want to do it, then do it—go all-in, and have fun.